For as long as we've used the web, the humble password has been the gatekeeper of our private data online. Keylogger viruses could read your password as you type it in. If you reuse the same password for multiple services, a vulnerability in any service could put all of your accounts at risk. Phishing emails trick you into visiting web pages that look identical to the services you use, but steal your password when you try to log in. If someone gets access to your email account, they can use "Forgot password" pages to reset your passwords on other online services. That's why it's becoming more and more important that online services allow users to have additional layers of security for their accounts. So we're happy to announce several new features to help keep your Telerivet account protected — even if your password is stolen. 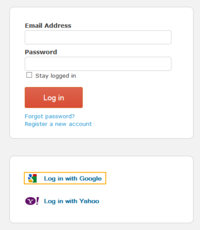 If you've used Telerivet on a shared computer and forgot to log out, the Login Sessions page is for you. We've already been recording many events in the activity log before launching the Account Security page, but we just started tracking many more events — so some actions will only show up starting today. If you use an email address from Gmail, Google Apps, or Yahoo, there's no need to remember a separate password for your Telerivet account. 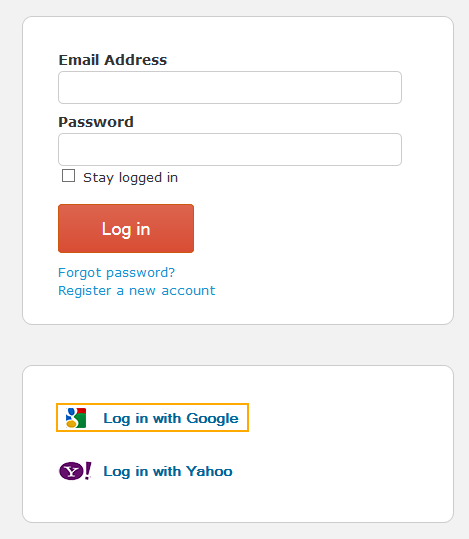 When you enable the “Login via email account” setting, you can simply click the Google or Yahoo logo on the login page, and log in with your email account. Even if you log in via your email account, you can still use two-factor authentication and the login IP whitelist to keep your Telerivet account protected if your email account gets compromised. To configure your security settings, head over to your Account Security page. In your Telerivet dashboard, you can access this page by clicking your email address in the left hand menu, then “Account Security”. Keep in mind that the two-factor authentication, the login IP whitelist, and login via email account are all disabled by default — so you'll have to enable these features manually if you want them. And as always, let us know what you think!